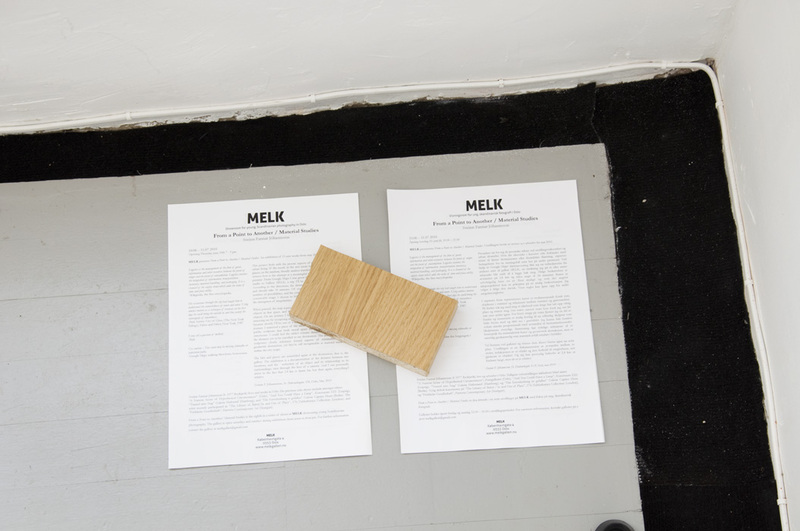 MELK presents From a Point to Another / Material Studies. 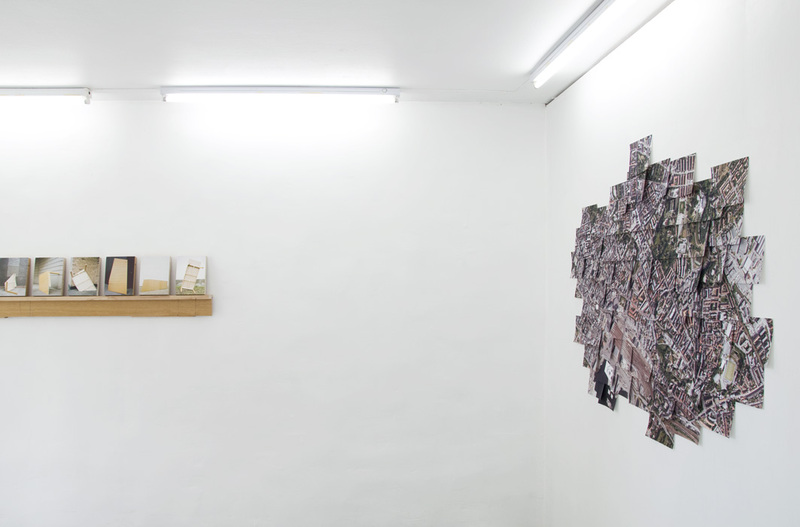 An exhibition of 13 new works from may 2010. 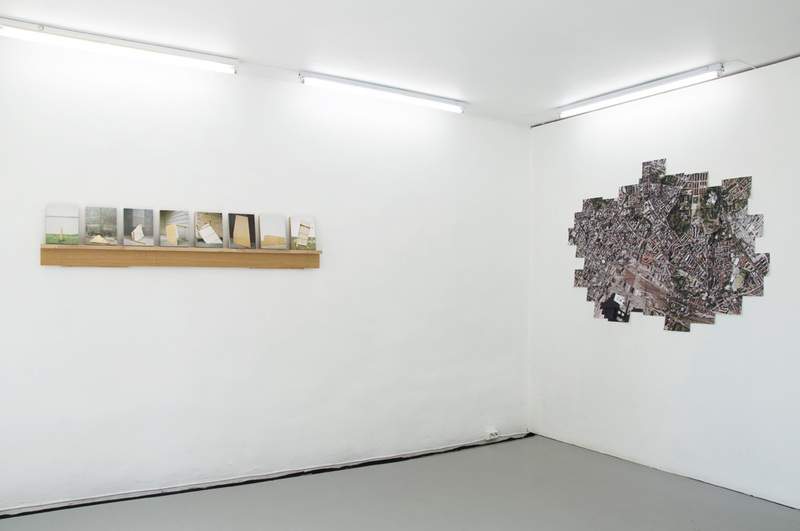 This project deals with the prosaic aspects of exhibition production and urban living. If the exotic in the arts tends to mean journeys to remote places, or the random, literally aimless wanderings of the flaneur, what we witness here is the attempt at a meaningful journey with quite a different premise. From Google Maps I was given the walking directions from my studio to Gallery MELK, a trip I’ll be forced to make at some point. According to the directions, the distance between said points is 2.8 km and should take 34 minutes. Of course this route is only one of any number of possibilities, and the estimated duration just an indication for conceivable usage. I choose to follow it literally. Certain rules allow for the emergence of irregularities. 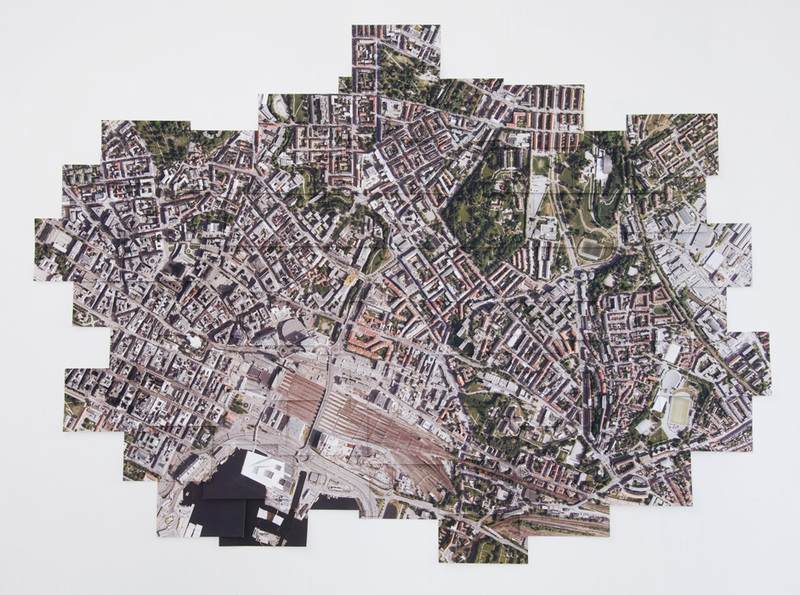 When printed, the map represents a three-dimensional physical space, the objects in that space, and the relationship between the space and these objects. On my journey I brought with me an oak-table which has been annoying me by occupying much needed space. It had to go soon anyway because shortly I’ll be out of a studio-space again. For every stop on my journey I removed a piece of the table and created a scene, a potential public sculpture that both stood apart from and merged with, the streetscene. I could feel the table’s volume diminish in proportion with the distance yet to be travelled to my destination. The ambiguities of the sculptures clearly reference formal aspects of minimalist art and geometric abstraction, yet they’re still recognisable as material waste left within the city-scape. The bits and pieces are assembled again at the destination, that is, the gallery. 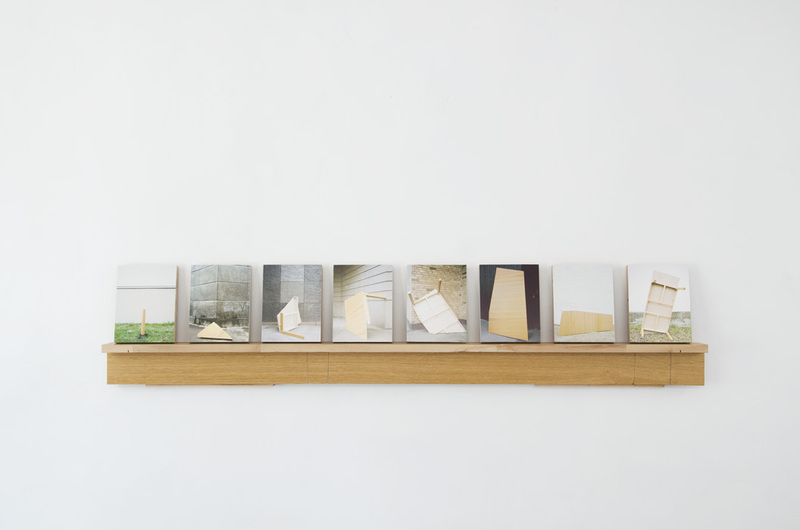 The exhibition is a documentation of the distance between two locations, and the reduction of an object and its relationship to its surroundings, seen through the lens of a camera. And I can personally attest to the fact that 2.8 km is damn far, but then again, everything’s relative. Sveinn Fannar Jóhansson (b. 1977 Reykjavik) lives and works in Oslo. 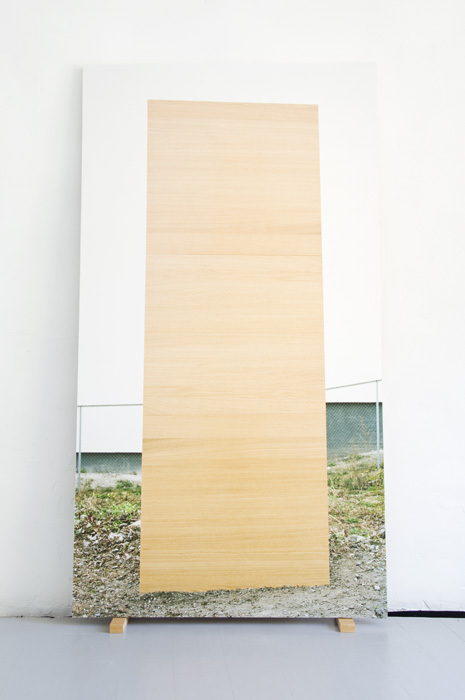 His previous solo-shows include amongst others “A Narrow Scene of Hypothetical Circumstances” (Oslo); “And You Could Have a Limp”, Kunstraum D21 (Leipzig); “Turned into Stag” Galerie Hafenrad (Hamburg); and “Die Entscheidung is gefallen” Galerie Caprice Horn (Berlin). 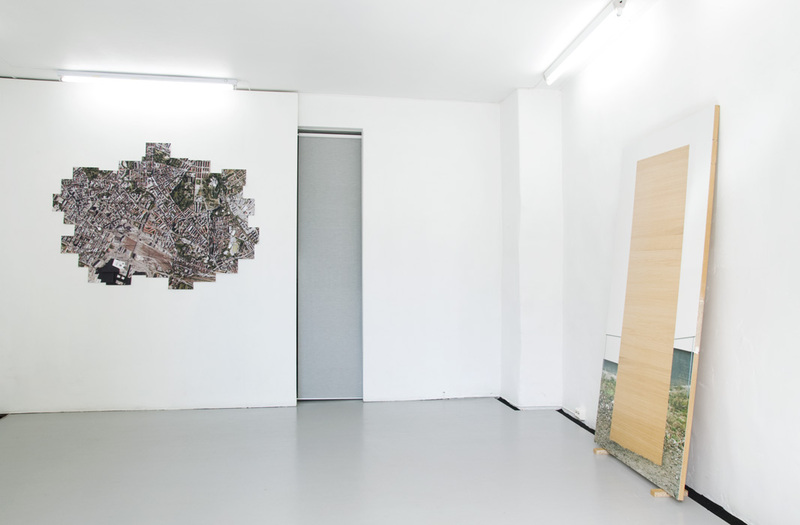 The artist recently participated in “The Library of Babel/In and Out of Place”, 176/Zabludowicz Collection (London); and “Fröhliche Gesellschaft”, Parrotta Contemporary Art (Stuttgart). 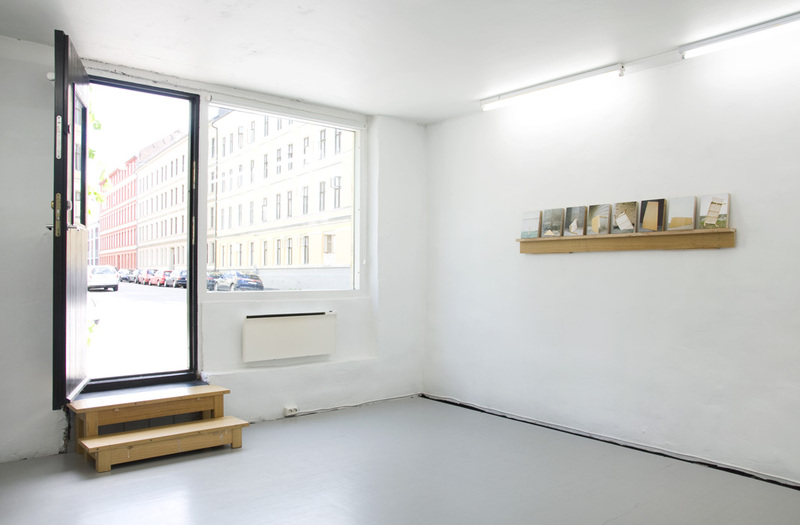 From a Point to Another/ Material Studies is the eighth in a series of shows at MELK showcasing young Scandinavian photography. MELK presenterer From a Point to Another / Material Studies. Utstillingen består av tretten nye arbeider fra mai 2010. Logistics is the management of the flow of goods, information and other resources between the point of origin and the point of consumption. Logistics involves the integration of information, transportation, inventory, material-handling, and packaging. It is a channel of the supply chain which adds the value of time and place utility. His excursions through the city had taught him to understand the connectedness of inner and outer. Using aimless motion as a technique of reversal, on his best days he could bring the outside in and thus usurp the sovereignity of inwardness. It was all a question of method. 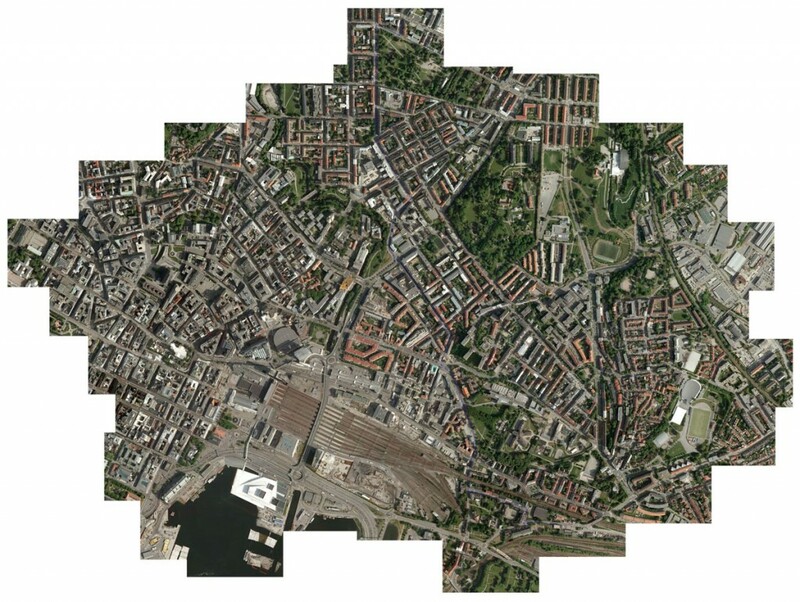 Prosjektet tar for seg de prosaiske sidene ved utstillingsvirksomhet og urban tilværelse. Hvis det eksotiske i kunsten ofte forbindes med reiser til fjerne destinasjoner eller formålsløs flanering, utprøves betingelsene for en meningsfull reise her på andre premisser. Ved hjelp av Google Maps’ kjøreanvisning fikk jeg en veibeskrivelse fra atelieret mitt til galleri MELK, en strekning jeg på et eller annet tidspunkt blir nødt til å legge bak meg. Ifølge beskrivelsen er avstanden på 2,8 km og tiden angis til 34 minutter. Ruten er selvfølgelig bare en av flere mulige og som det angitte tidsperspektivet kun en pekepinn på en mulig brukssituasjon. Jeg velger å følge den slavisk. Visse regler kan åpne opp for andre uregelmessigheter. I utprintet form representerer kartet et tredimensjonalt fysisk rom, objektene i rommet og relasjonen mellom rommet og gjenstandene. På ferden tok jeg med meg et eikebord som lenge har tatt opp viktig plass og irritert meg. 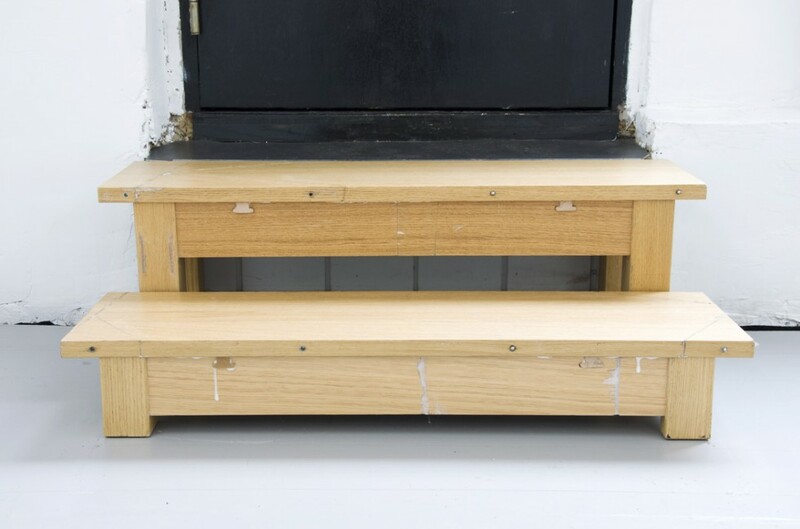 Det måtte uansett snart bort fordi jeg om litt står uten atelier igjen. For hvert stopp på veien fjernet jeg en del av bordet og iscenesatte et mulig forslag til en offentlig skulptur som både bryter med og sklir inn i gatebildet. Jeg kunne føle bordets volum minske proporsjonalt med avstanden til bestemmelsesstedet. Skulpturens tvetydige fremtoning har tydelige referanser til et formspråk fra minimalistisk kunst og geometrisk abstraksjon, men er samtidig gjenkjennelig som materielt avfall etterlatt i bybildet. Vel fremme ved galleriet og reisens slutt, finner bitene igjen sin rette plass. Utstillingen er en dokumentasjon av avstanden mellom to steder, reduksjonen av et objekt og dets forhold til omgivelsene, sett gjennom et objektiv. Og jeg kan personlig bekrefte at 2,8 km er fordømt langt, men alt er jo relativt. Sveinn Fannar Jóhannsson (f. 1977 Reykjavík) bor og arbeider i Oslo. Tidligere soloutstillinger inkluderer blant annet ”A Narrow Scene of Hypothetical Circumstances”, Fotogalleriet (Oslo); ”And You Could Have a Limp”, Kunstraum D21 (Leipzig); ”Turned into Stag” Galerie Hafenrand (Hamburg); og “Die Entscheidung ist gefallen” Galerie Caprice Horn (Berlin). 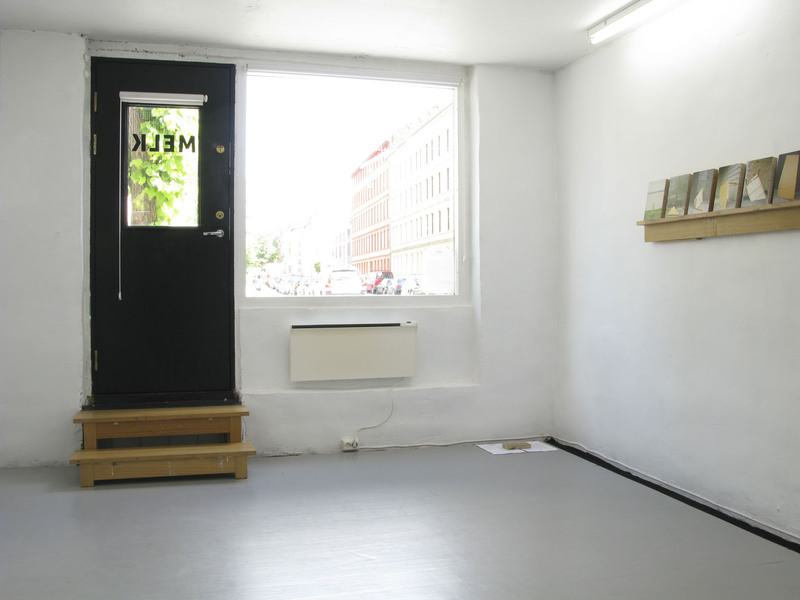 Nylig deltok kunstneren på ”The Library of Babel / In and Out of Place”, 176/Zabludowicz Collection (London); og ”Fröhliche Gesellschaft”, Parrotta Contemporary Art (Stuttgart). From a Point to Another / Material Studies er den åttende i en serie utstillinger på MELK med fokus på ung, skandinavisk fotografi.